If you are a homeowner, you will agree with us that maintaining a good home can be quite costly. Some costs are obvious, but there are those that just happen but will force you to pay up before you can have a peace of mind. Purchasing a home warranty plan is presently the most effective way to protect yourself, and your bank account, from inevitable emergencies such as appliance breakdown and plumbing or HVAC systems malfunction. To be sure that you get the right home warranty plan, there are a number of things you have to know. We have summarized these things in five simple questions you should ask yourself as you hunt for the ideal warranty and the right company to buy the warranty from. 1. What is the wear and tear state of your appliance and systems? We have appliances in our homes for a good reason: to make our lives easier. However, with time, these appliances and the parts of the systems we depend on wear and tear and will eventually break down if not replaced. Assess the state of the appliances no longer covered by the manufacturer’s warranty and the condition of the parts of major systems you intend to get a warranty for before making a final decision. In some cases, it may make more economical sense to pay a contractor for minor repairs and parts replacement rather than pay more for a home warranty that covers them. 2. Are you planning to replace or upgrade your appliances soon? The advancement of technology has not only made most electronic and electrical appliances and their components more affordable, but they also come with extended manufacturer warranties. You may find that you upgrade your major home equipment within a few years after the expiry of the manufacturer warranty—sometimes even before they break down or show any signs of wear. However, the best appliances and equipment are still quite costly to buy considering that a typical home has several of these appliances. If you are planning to upgrade soon, it is probably best to get a short-term home warranty for the appliances you intend to replace and a longer warranty for the rest of the systems. 3. Are there vital components in your appliances and house systems that the warranty does not cover? While considering a home warranty that covers the systems you are worried about, such as plumbing, electrical, and EVAC, it is important read the fine print and find out if any of the components are not covered. For instance, a warranty may not cover the ductwork of your EVAC, which can be quite expensive to replace. It is also not uncommon for a home warranty covering appliances not to include the refrigerator’s ice maker or damages caused by electrical faults. 4. How does the home warranty supplement or complement your homeowner insurance? Another important question you should ask yourself while shopping for a home warranty is how it affects your homeowner insurance. While the insurance covers what might happen, the warranty covers what will happen. Having both to supplement and complement each other is a simple yet effective way to live comfortably in a happy home and have a peace of mind knowing that all your most vulnerable bases are covered. 5. 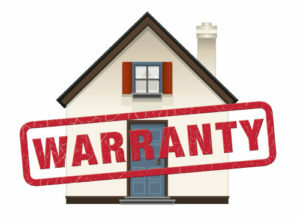 What is the upper limit for replacements and repairs for the home warranty you are considering? The maximum amount the cover provider is willing to spend on repairs and maintenance is largely dependent on the home warranty plan you choose. Plans often start with the most affordable basic or standard with lowest upper limit and the cost increases in breadth and depth of coverage. Companies structure their home warranty plans to cover all types of customers and it is up to you to determine what is ideal for your situation. You can determine which plan is right for you by comparing how much you typically spend in maintenance, repairs, and replacements with the upper limit the provider is willing to spend on cover of your choice. The right home warranty plan for you should strike a balance between what you can afford to pay annually versus what it covers. There are of course hidden benefits to this approach because the moment you buy the warranty, the value of your home’s equity instantly rises. By how much depends on what you invest. The answers to these concerns should guide you to finding the ideal home warranty plan that brings peace of mind, comfort, and cash flow freedom to you and your family.